Waterproof Gimbal! Create more possibilities for photography. 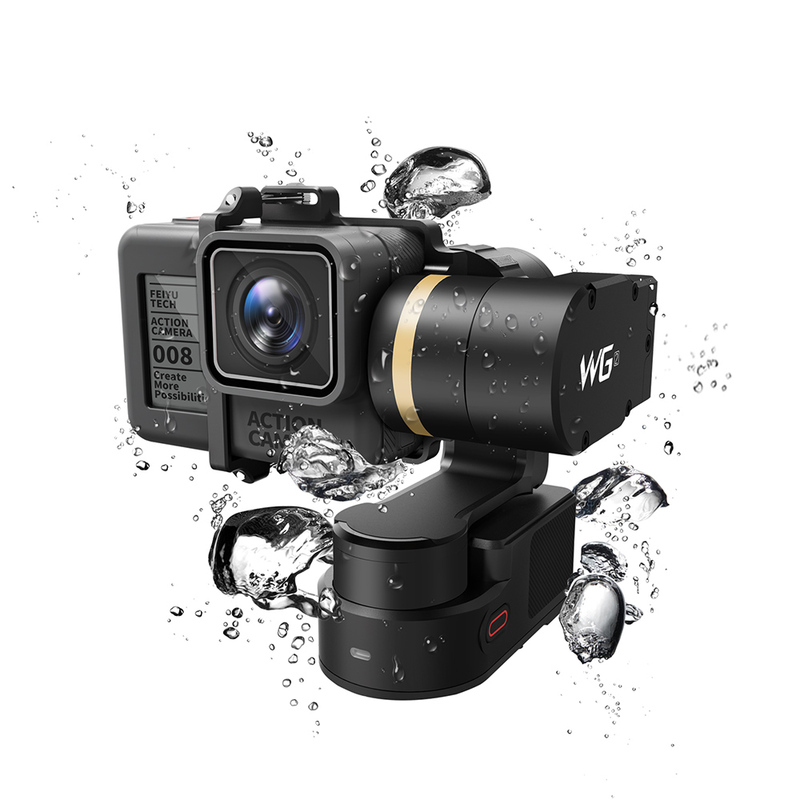 The WG2 revolutionary waterproof design with precision mechanical rotation mechanism enables it to be used in wet situations such as rain and splashing water and also be used underwater in some conditions. 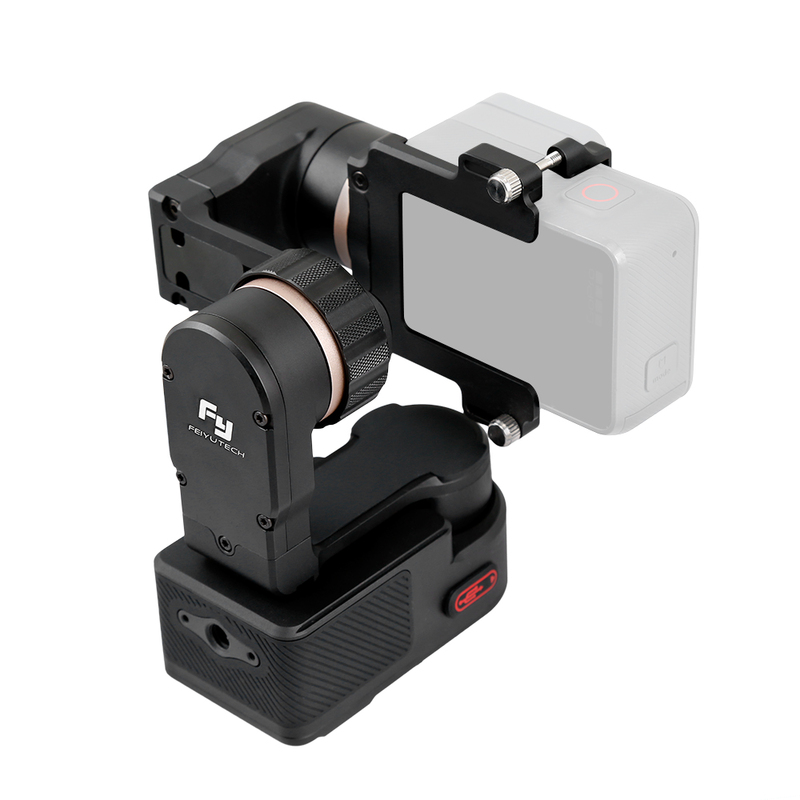 The WG2's lightweight structure and design, with optimized brushless motors, maintain a consistent high torque, stronger power and lower power consumption. The WG2's improved design combined with waterproof technology enables it to be used underwater to around 0.5m for snorkeling, surfing, on rainy days. etc. 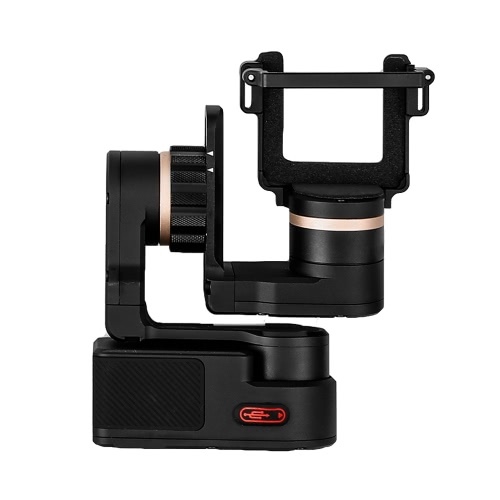 Its knob adjustable sliding arm and leveling system has factory pre-set counterweight markings, allowing for quick and easy adjustments for various popular cameras such as for GoPro Hero4, Hero5. 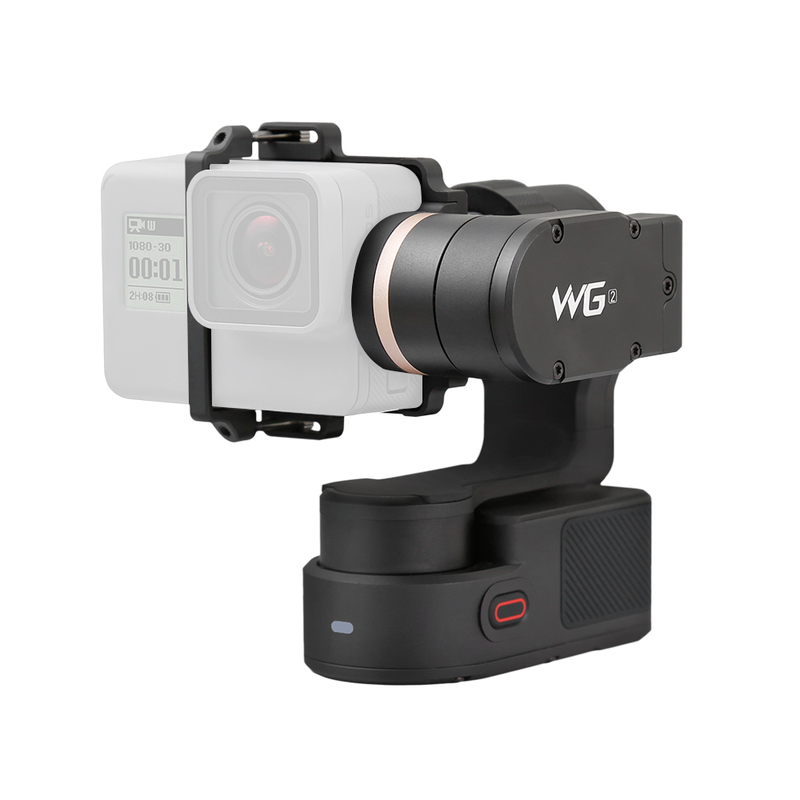 The WG2 comes with an exchange mount for GoPro Hero4, Hero5, Session cameras, enabling you to replace the mount by hand without the need for any tools. Fitted with anti-loss long screws provides a safe and convenient installation method, the slide track is compatible with many cameras. 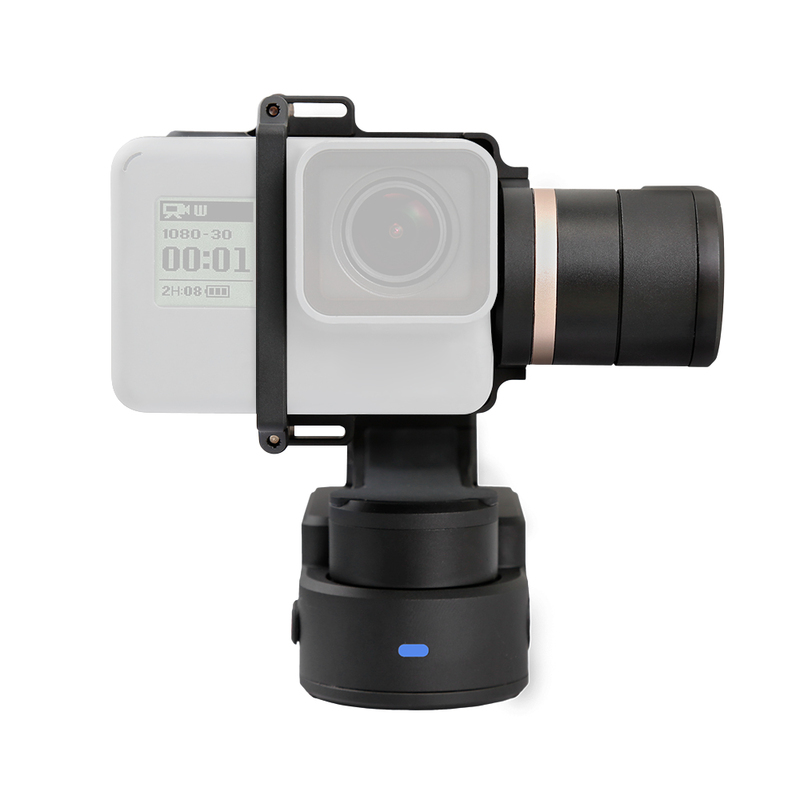 Supports time-lapse photography. The WG2 also incorporates an auto-rotation function. Optimize the algorithm for the use of wear-type stabilizer scene, the new G platform algorithm according to WG2 common scene under the attitude of the targeted optimization, enhances the axial range of motion, eliminates posture dead angle bug, enhances the anti-interference and computing power of its sensor under high-frequency jitter and high-speed motion. 1/4" tripod mount holes were added on its bottom and back, which make the WG2 compatible with more accessories, such as helmet, chest, bike, selfie, skateboard car and more. APP + BT Remote Controller: New version Feiyu ON APP comes with functionality of remote control, parameters setting and firmware update. Compatible with smart remote control (need to buy separately). Single button operation turns the gimbal on/off or changes the function modes. LED indicator on the front guides you to know what mode it is and if the battery power is low. A soft protection pad on the heading shaft motor avoids damage to the camera at the limit of travel. The WG2 can work for 2.5h during exercise with its built-in lithium battery. Charging with chager via USB cable is supported. Make sure the camera is secure on the gimbal before powering on it. When not in use, turn off the gimbal and then remove the camera. Please make sure the built-in battery is fully charged before you use the gimbal for the first time.